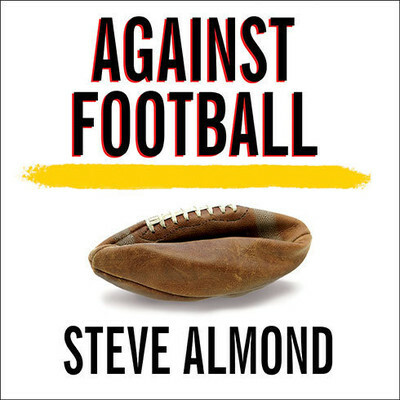 Against Football - Audiobook | Listen Instantly! In Against Football, Steve Almond details why, after forty years as a fan, he can no longer watch the game he still loves. Using a synthesis of memoir, reportage, and cultural critique, Almond asks a series of provocative questions: Does our addiction to football foster a tolerance for violence, greed, racism, and homophobia? What does it mean that our society has transmuted the intuitive physical joys of childhood-run, leap, throw, tackle-into a billion-dollar industry? How did a sport that causes brain damage become such an important emblem for our institutions of higher learning? There has never been a book that exposes the dark underside of America's favorite game with such searing candor. Download and start listening now! Steve Almond is the author of the bestselling Candyfreak and two story collections. He is a commentator on the NPR affiliate WBUR in Boston.